I love this series, and I tried my hardest not to read the last two books because I didn't want to give it up. I finally broke down and gave this one a listen via audiobook. 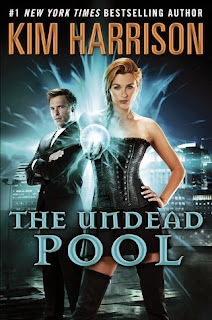 The Undead Pool is book 12 in The Hollows series. The series revolves around Rachel, a witch/demon and her paranormal friends/partners. 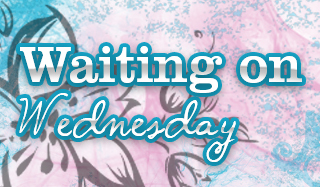 This time around, spells are backfiring all throughout Cincinnati in waves that seem to point towards Rachel. In the early parts of this book, Rachel is Trent's bodyguard, and if you've read some of the series you know issues will always seem to come up when the two are together. Take for instance an exploding golf ball that leads to getting kicked out of the club. The tension between the two has always gotten me, and I've been team elfboy (Trent) from the start. While frustrating with the lack of relationship between the two, I was so happy to see them go on a date and finally own up to the attraction! The bulk of the book is about the spells backfiring when waves hit and Rachel and the team are trying to find out who is behind it. The Undead Pool brings to light elfin religious beliefs, and Trent's elf background is a bit more fleshed out. We hadn't learned all that much about the elves from the previous books, so I was happy to see more details included in this installment. I'm intrigued to see how the series will end and hope everything is wrapped up nicely. This was my first audiobook of this series, I've read all of the previous books via paperback but I wanted to give the audiobooks a try. I had heard pretty good things about the narrator channeling Rachel and the others well and I fell into the story quite easily. The male and female voices were executed nicely, though I think my favorite male voice had to be Al. My attention did not waver and I did not get lost in the story, all in all I think Marguerite Gavin hit this one out of the park. I'll be looking for more audiobooks she has narrated in the future. Oh I just loved all the books in this series, mainly the last ones. I haven't tried the audio though I confess. Glad you're having a nice time. Great review! Woohoo for catching up this year :D Can't wait to see your thoughts. Indulge and dive back in the series via audio since you love it so much. Don't say goodbye yet!! I think I will try to get the last book in audio, even though I have the hardback! I'll have to check the library, they seem to have a good audio selection! Oooh I hope you enjoy it when you get to it! For me personally, the first book is all info, and a bit hard to get through. You might not have any issues with it though. Just know if you feel that way, hang in there! The series just gets better and better. I'm really behind on this series. It's been on my radar for about six years now, but I'm only two books in, and I still have no idea why on earth Trent is now a good guy Rachel is willing to date, considering he was a cold-blooded murderer in Book 1.